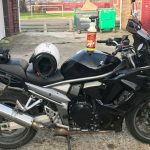 NEW Clean MyRide – Pro Grade combined motorcycle bike wash degreaser cleaner with non-streak formula. 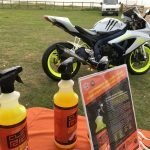 A non-caustic, biodegradeable and environmentally friendly product that eats dirt and dissolves grease for both motorcycles and cycles. Clean My Ride is the real rider’s friend. 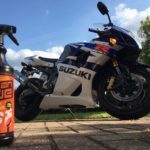 With everything you put your motorcycle through you want a bike wash and degreaser that’s equally as dependable and reliable. 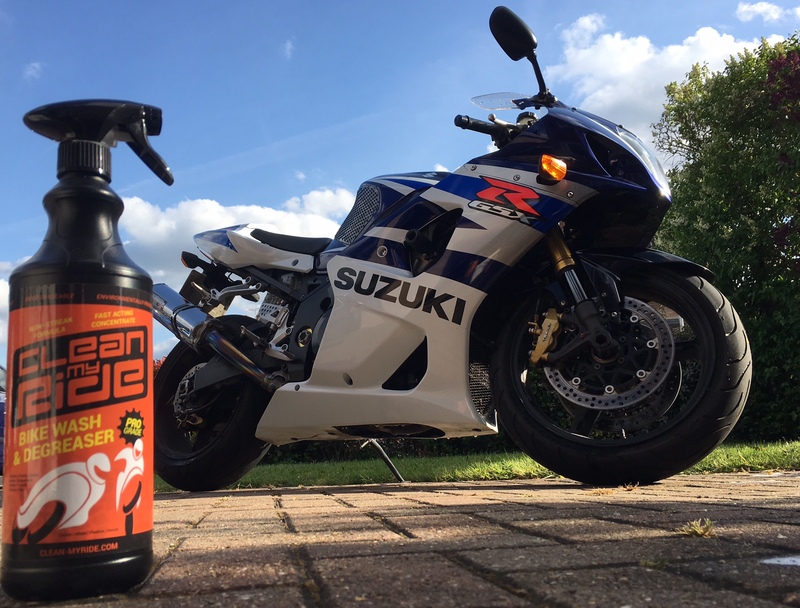 Clean MyRide’s unique formula strips off the muck and filth you hate and cleans the parts you love such as frames, chains, brakes, gears, engines, fairings, wheels, screens, suspension and exhausts. 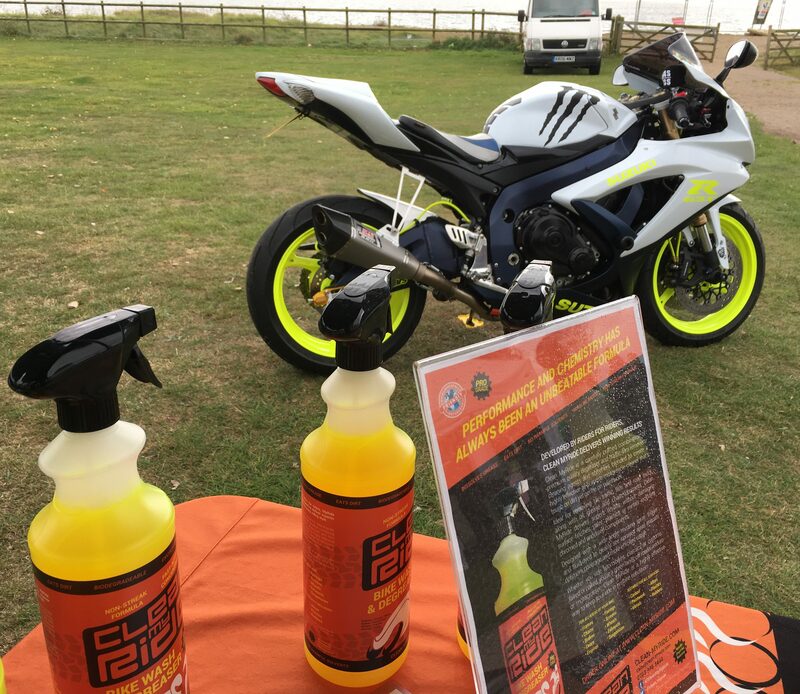 Whether you ride sports bikes, classics or customs, faired or naked; you’re a green laner, off roader, enduro or motocrosser, Clean MyRide is a highly effective way to keep your ride in pristine condition. 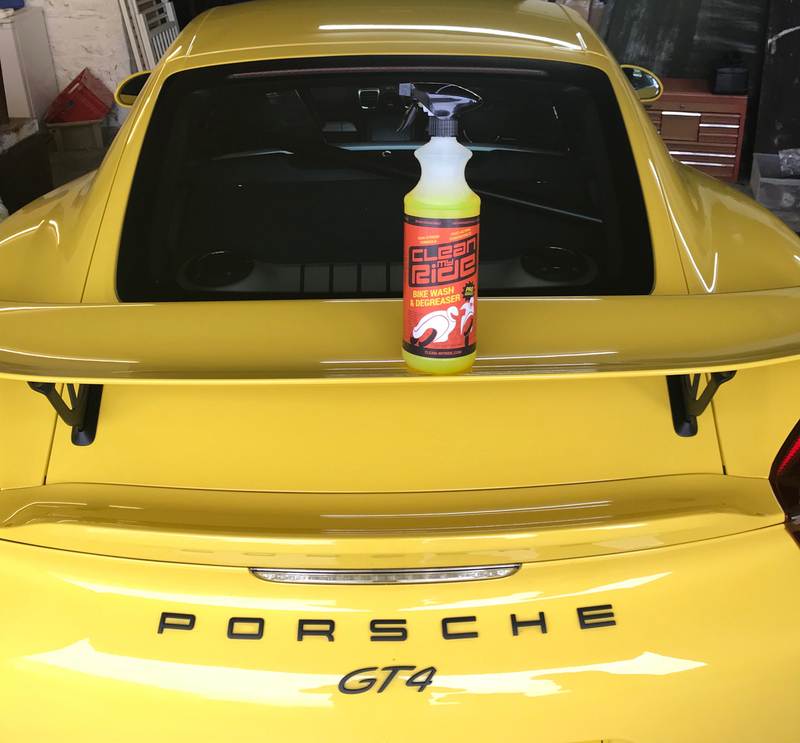 Suitable for all surfaces including paintwork, metals, alloys, plastics, carbon and rubbers. 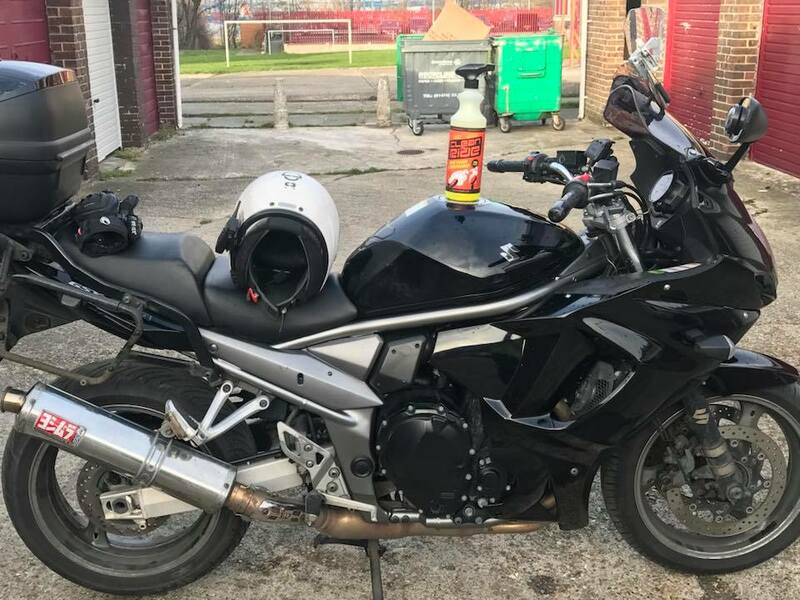 GENERAL BIKE WASHING: Wet bike, spray product on liberally and leave for up to 5 minutes, then agitate using a soft washing or detail brush to remove dirt & grease. Wash solution from bike with plenty of water (do not leave solution to dry). WORKING PARTS MAINTENANCE: To remove thick grease/dirt build up, soak or submerse (non-painted) working parts & leave to soak for 30 minutes, (or longer for severe build up) until grease comes free, using a small brush to agitate if required. 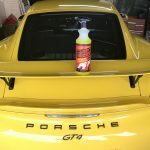 Rinse with plenty of water and avoid prolonged exposure to paintwork. 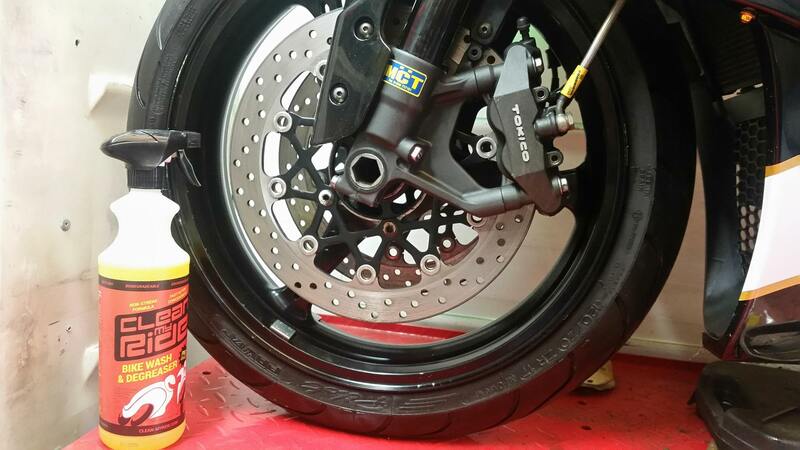 CHAIN / SPROCKETS SERVICING: CleanMyRide works well with all in situ chain cleaning tools. 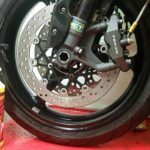 Alternatively you can remove and submerse chain and cogs and soak for 30 minutes, (or longer for severe build up). Rinse with plenty of water. For best results wash your bike regularly.